BERLIN: The extensive use of plastic products in everyday life has increased the piling up of discarded plastics all over. 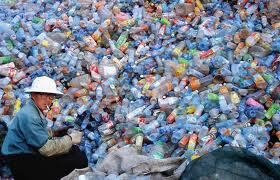 The durability and permanence of plastics have also made them hard to be recycled. This has increased the challenge for plastic recycling industry to devise superior, unsurpassed tools and techniques to recycle and process them without endangering any life. As a quest of preserving the quality of life in Europe, European Union is all set with enhanced plastic management processes in the locality. The shocking revelations of poor handling of plastic wastes along with land-filling and informal recycling methods has made EU to think about a better level of implementation. Janez Potocnik, the EU environment commissioner responded to the shocking Green Paper reports on the unhealthy plastic waste disposal in Europe on Monday this week. According to the details revealed by Green Paper, the major matter of concern for the growing health hazards of plastic waste is the neglected way of land-filling occurring at every place that is turning lands into graveyards. In order to control the situation, it is needed to put a stop to land-filling and burning of plastics openly. He added that the Green Paper report should be taken as a message for EU to end funding for land-filling and burning of plastics. On the other hand, this fund should be used by them to improve recycling infrastructures in Europe. As part of better plastic recycling program, pay-as-you-throw scheme is receiving good encouragement by respondents that will enable the plastics to be sorted and collected at your doorstep. Stakeholders have also demanded for stricter recycling targets that ensure high standard facilities for recycling. The need for new rules in eco-design is also in demand for enhancing recyclability. Strict legislation for the use of bio-degradable plastic bags is also insisted. Widespread positive inputs and response are received for this new plastic management scheme in Europe.